Our list of favorites includes books that were purchased for my now 14 year old, as well as newer releases. There are books for girls and books for boys, but most are gender neutral. The list includes beloved classics, Scholastic favorites, and fun facts books. As you can see, many of the books on our list have been very well loved! 10. Daniel Tiger's Neighborhood Snowflake Day! With Groundhog's Day being tomorrow, I bet you can guess which book title we will be reading tonight and tomorrow! Do you think the groundhog will see his shadow? Or not? I always felt like this is a ridiculous holiday considering there will be 6 more weeks of Winter no matter what, but visiting nearby Punxsutawney for Groundhog's Day is on my bucket list! 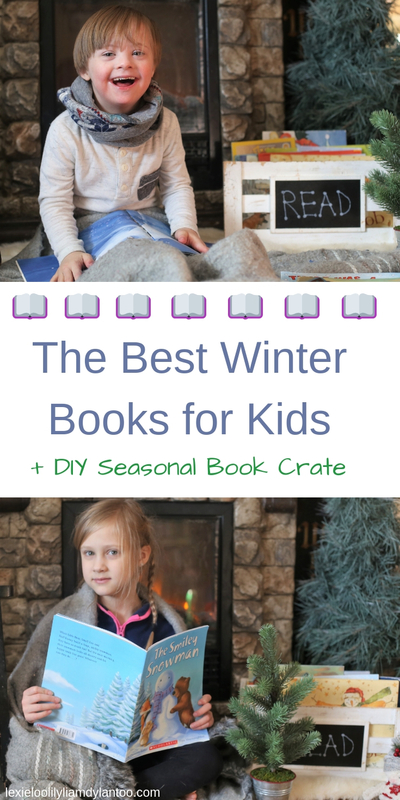 I shared the link to our super easy DIY seasonal/holiday book crate at the bottom of this post, but it has been in our living room for a few years! It is getting a bit beat up from all the love, so it just might need to be re-painted this Spring. I trim it with a seasonal or holiday garland, but Liam decided to unstring our snowball garland, and fixing it just wasn't on my To Do List while I'm a million years pregnant! 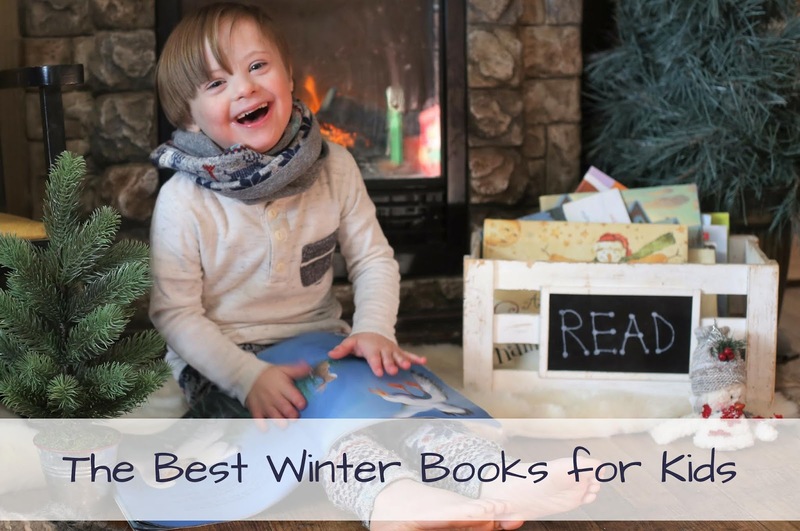 What Winter-themed books would you add to the list? Share your favorites in the comments so I can check them out! I've always been a big reader, so I love when people encourage their kids to read. 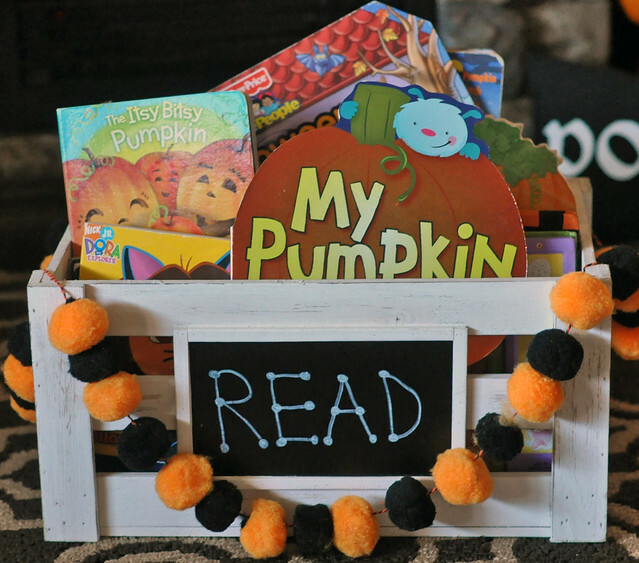 I love the idea of a book crate to swap out books for the seasons/holidays. Looks like you have quite a good Winter book collection. I love The Snowy Day and Snowmen at Night! I thought in one photo it looked like Liam was reading Bear Snores On...But maybe not - I love all those bear books by Karma Wilson and Jane Chapman. Such sweet illustrations!